According to the National Safety Council, tractor rollover accidents are the leading cause of death and injury on farms. The U.S. Department of Labor's Census of Fatal Occupational Injuries estimates 125 lives are lost each year due to tractor rollover accidents and even more are seriously injured. While these statistics are tragic, there is some good news. According to the National Ag Safety Database, seat belts and roll bars are 99% effective in preventing serious injury and death in a tractor rollover accident. But unfortunately, only 1/2 of the tractors in use on farms in the United States have this invaluable protection for the tractor operator. While tractors manufactured today are equipped with rollover protection, manufacturers did not begin voluntarily adding these safety devices until 1986. Between 1967 and 1985, tractor manufacturers offered rollover protection as optional equipment. And before 1967, most tractors did not have rollover protection even as an optional equipment. It is not uncommon for a tractor to be used for 30 or 40 years, and many owners simply do not want to spend the money to purchase and install aftermarket roll-over protection. Even if rollover protection is installed, it must be maintained properly. It should be periodically checked for rust or other signs of deterioration or fatigue. If the tractor is involved in a rollover accident, the equipment should be replaced as the equipment is only designed to withstand the dynamic forces of a single incident. Finally, the rollover frame should not be used to attach cables, chains or hooks and holes should never be drilled in it. If you or a loved one has been involved in a tractor rollover accident, let one of the award-winning attorneys at The Law Offices of John Day, P.C. sit down with you, review your case, answer your questions and explain your options in clear terms. 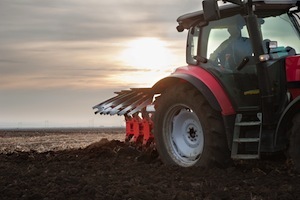 Our experienced lawyers handle all tractor-rollover cases on a contingency basis which means we only get paid if we recover compensatory damages or punitive damages for you and your family. To see if you have a case, contact us online or call us at 615-742-4880 or toll-free at 866.812.8787 for a free, no-obligation consultation.